*Alexander III of Macedon (“Alexander the Great”), 356-323 BCE. The Age of Alexander, Plutarch, 75 A.C.E. translation by Ian Scott-Kilvert, Penguin Books, 1973. Giove seduces Olimpiade 1526-1534, fresco at Palazzo Te Mantova, by Giulio Romano. 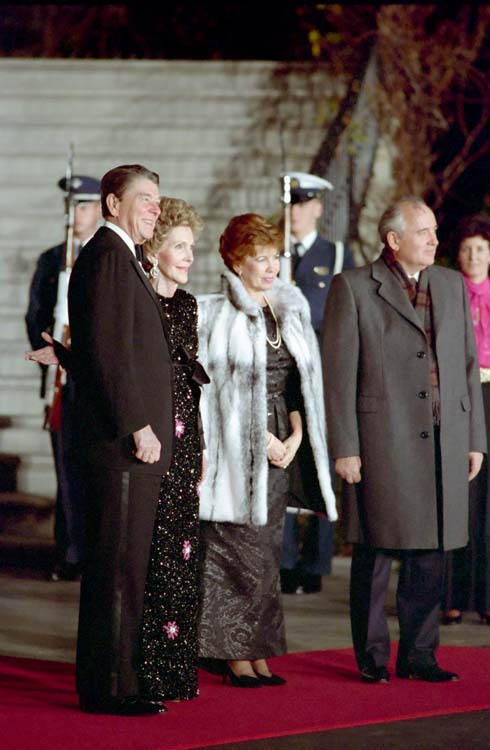 …Following protocol, Raisa sat next to Ronnie at his table, while Gorbachev sat with me. On the other side of Raisa we put Vernon Walters, our ambassador to the United Nations. He speaks Russian, and I knew he’d keep the conversation going. And maybe Ronnie would be spared a lecture! Next to me I put Richard Perle, the brilliant and controversial assistant secretary of Defense. Richard has very strong views on the Soviet Union, and he isn’t shy about expressing them. Gorbachev seems to enjoy a good give-and-take, and he likes it when people challenge him…. ‘Are you sure you know?’ asked Perle. My Turn: The Memoirs of Nancy Reagan, Nancy Reagan with William Novak, Dell Publishing, 1989. Somerset Maugham, master story-teller, weaves a plot of mysterious romance against a background of Paris, the Riviera, and India. Larry Darrell, desired by a passionate girl and tempted by wealth, surrenders both in order to seek a faith. 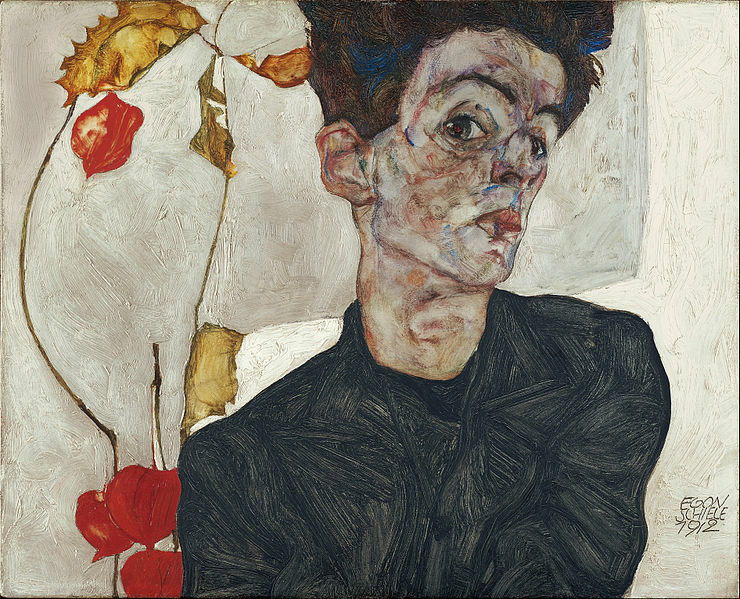 His search carries him to Paris bistros, to the embraces of a frustrated widow, and to his discovery of a spiritual power among the mystics of the East. 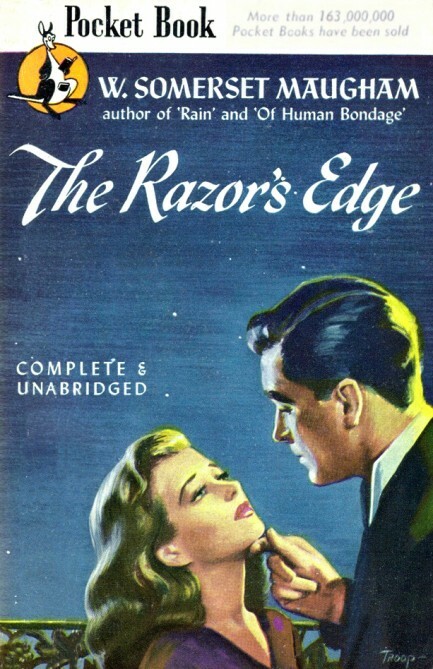 The force of this novel is Larry’s almost miraculous influence on three people: Isabel, a lusty beauty who lives for the physical things of life; Sophie, who is driven by tragedy to complete degradation; and Elliott, whose one aim in life is to improve his position in an amoral society. Pocket Books, Inc. Rockefeller Center, New York, 1947. “The city represented a new degree of human concentration, a new magnitude in settlement. 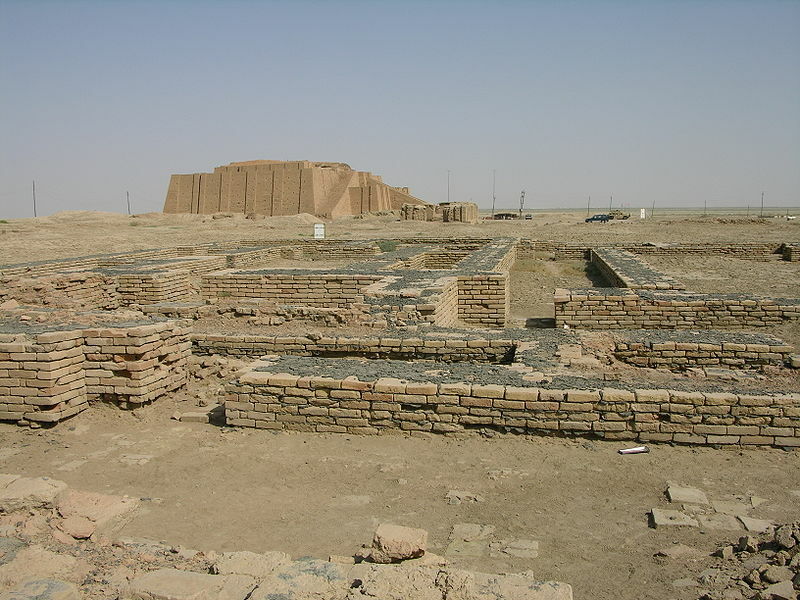 The ancient city of Ur, the early home of Abraham, with its canal, harbors, and temples, occupied 220 acres, while the walls of Uruk encompassed an area of just over two square miles. Khorsabad, about 700 B.C., enclosed some 740 acres; Nineveh, a century later, perhaps 1,800 acres; while later still, Babylon, before its destruction by the Persians, was surrounded by at least eleven miles of walls. What is harder to estimate is the population of these ancient towns. They were at first limited by the same difficulties in transport as early medieval Western towns, and seem to have had populations of the same order, that is, from about two thousand to twenty thousand people. Probably the normal size of an early city was close to what we would now call a neighborhood unit: five thousand souls or less. Ruins in the Town of Ur, Southern Iraq, 2006, Photograph: M. Lubinski. Published by S. H. Knox & Co. This postcard was published by by S.H. Knox & Co. (1884-1911). The American publisher Seymore Horrace Knox owned a chain of 5-and-10-cent stores that were eventually incorporated into his cousin Frank Woolworth’s chain. S.H. Knox & Co. postcards had a distinctive typeface (seen above in the lower right corner), which was similar to the modernist font the architect Mies van der Rohe later designed for the Toronto-Dominion Center.